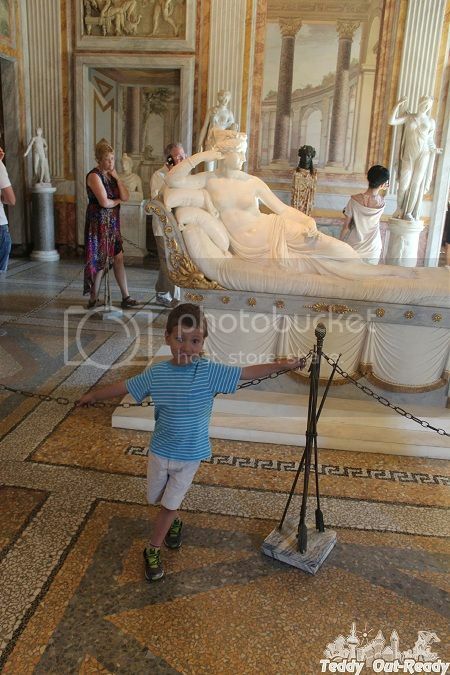 Our second day in Rome started with visiting Borghese Gallery. 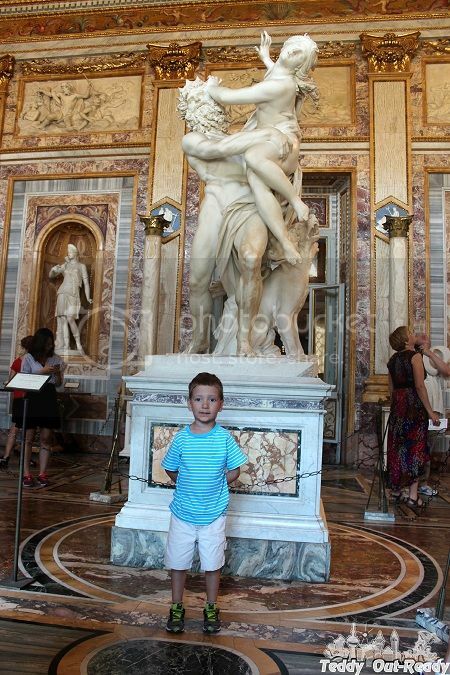 Borghese Gallery is an art gallery in Rome, Italy, housed in the former Villa Borghese Pinciana and located in Villa Borghese gardens. We booked our spots online one month in advance. It is very popular place and it hard to get ticket if you don’t book it in advance. Only 300 people can get inside the Gallery at the same time every two hours. 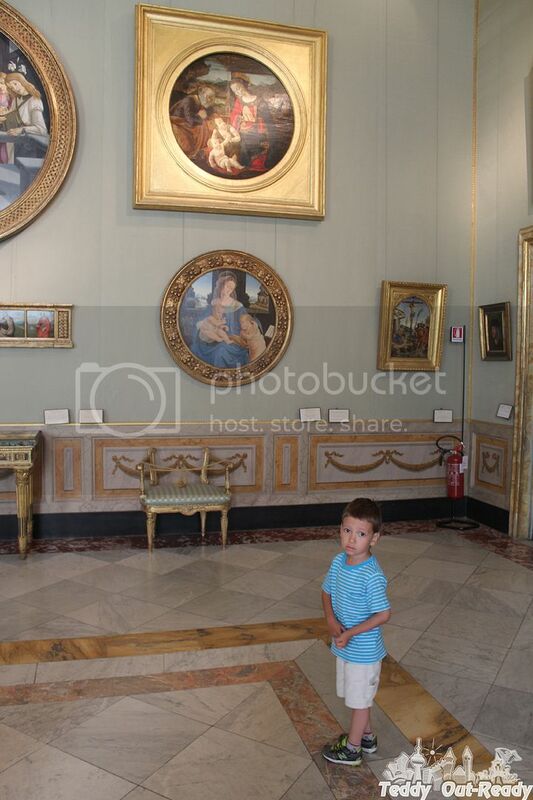 So we had only 2 hours to enjoy Borghese collection of paintings, sculptures and antiquities. First floor is dedicated to sculptures many of which are Bernini’s work. Second floor is allocated for paintings with Caravaggio, Titian, Raphael, Rubens masterpieces among others. We were inspired to connect with sublime pieces of art. 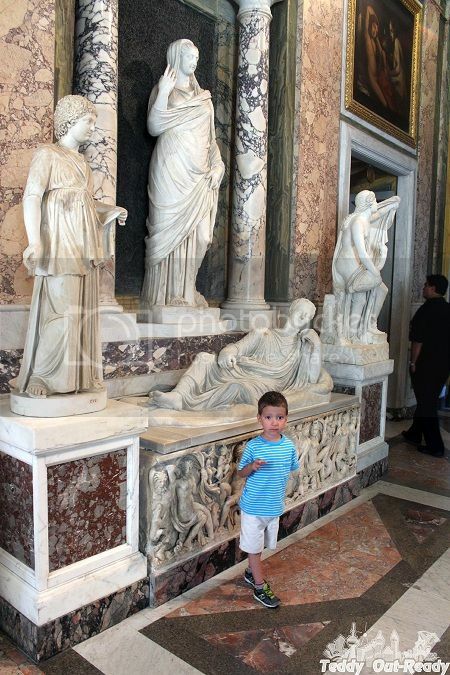 Teddy liked it too and asked if the painter Raphael and sculptor Donatello related somehow to Ninja Turtles. 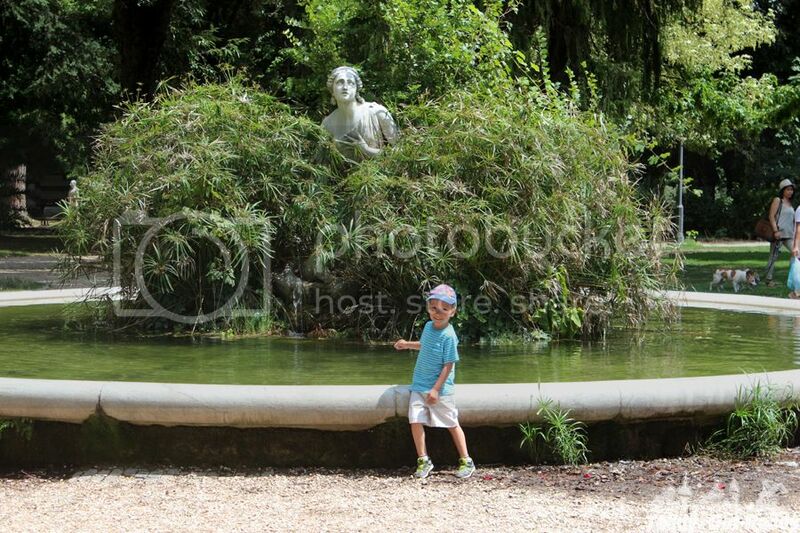 After our two hour visit, we headed to back yard of Borghese Gallery – nice garden with statues, fountains and lemon trees. We were surprised to see a lot of ready to eat lemons on the trees. 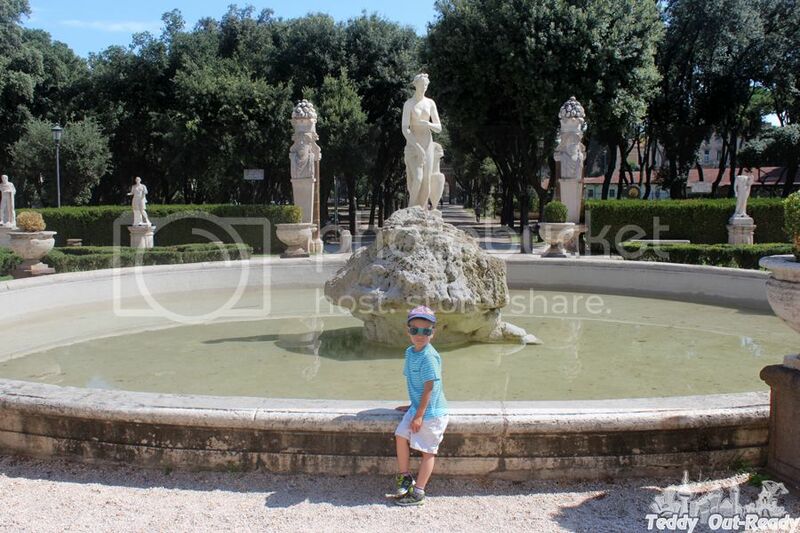 After small picnic we headed to explore Borghese gardens – which is the third largest public park in Rome (80 hectares or 148 acres). While working, we saw a lot of monuments, enormously high trees and even mounted policemen. We planned to watch puppet show at the Il San Carlino theatre, but it was closed on that last Sunday in July 2014 and how we understood will be opened only in the fall. Fortunately it was small entertainment park just few steps away. Teddy took carousel ride, bounced for a while in jumping castle and rode a horse. 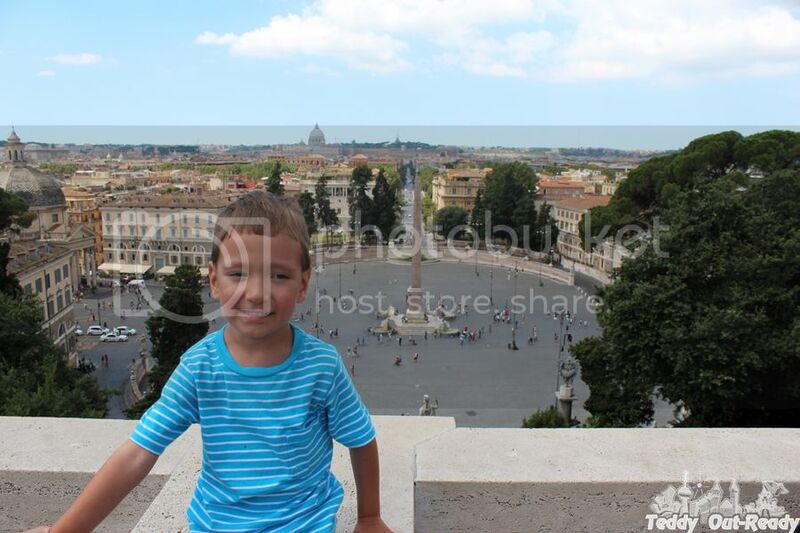 Then we walked to the Pincian Hill in the south part of the park and enjoyed one of the greatest views over Rome. Taking stairs we walked down to Piazza del Popolo. An Egyptian obelisk of Ramesses II from Heliopolis stands in the center of the Piazza. 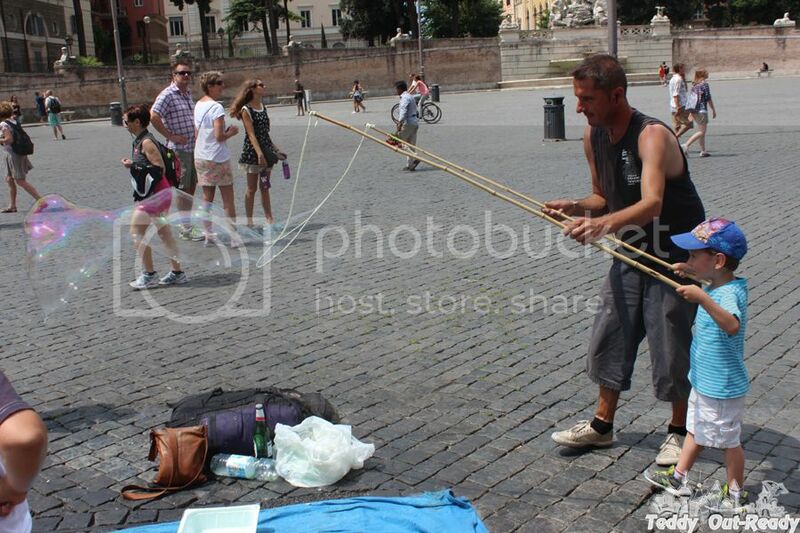 Teddy got wet in fountains and noticed a man who made gigantic bubbles using two rods and rope between them. First Teddy joined a group of kids that tried to catch and destroy bubbles, but then he asked bubble man to try it with him. Teddy was able to make few quite big bubbles. It was Sunday evening and we took famous Dolce Vita Stroll walking along car free Via del Corso. On the way to the hotel we stopped in restaurant at Piazza di Santa Maria Maggiore with nice Basilica view. Next day was dedicated to Vatican. Wow, you are so lucky to have seen Italy! I would love to go one day! I would love to go back there some day. It's been over 35 years since I've been! These photos are so beautiful and I love all the historical and art images. 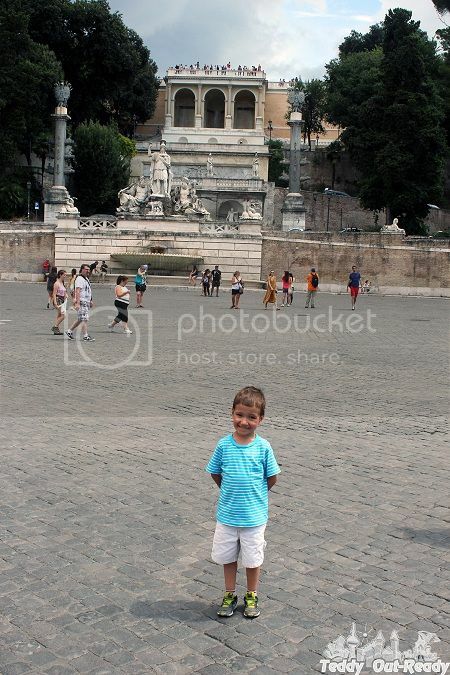 It's wonderful that your son had such a memorable trip. Beautiful! looks like a great day!